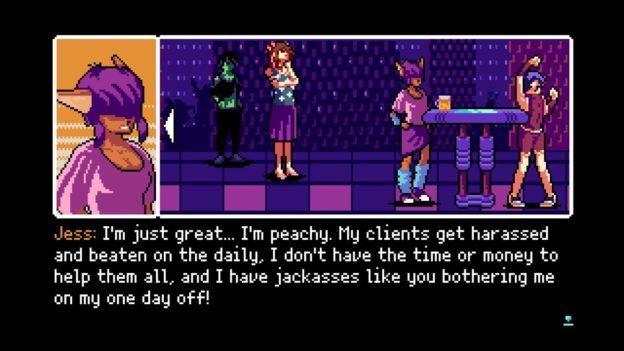 2064: Read Only Memories INTEGRAL is a point-and-click adventure game developed and published by MidBoss. This cyberpunk thriller has a lot of interesting elements, from hybrid humans to sentient robots, all set in a story full of conspiracies and espionage. Sound intriguing? Let’s find out if solving this mystery is worth your time. The first thing to note with 2064 is that it’s very much a narrative-driven affair. There’s a lot of reading to do, making it feel like you’re invested in a novel rather than playing a game. It’s a good novel, to be sure, but the occasional sections of lengthy dialogue and lack of constant interaction could put players off, particularly if you’re after more action. That said, 2064 is self aware. Like a book, it’s divided into chapters, with six of them to play through. These each last about an hour or so, depending on how quickly you race through, providing around 6-8 hours of entertainment. It pays to take your time though, which I’ll get into shortly. You play the role of a journalist in the year 2064 in the futuristic city of Neo-San Francisco. The world is not entirely dissimilar to present day, apart from some advanced technology and a proliferation of genetic engineering. You can assign your character’s name and gender as you interact with a multitude of colorful characters, all with interesting names and backstories. You begin the game in your apartment, where you wake one morning to find an intruder – a self-aware android named Turing. His creator, an old friend of yours named Hayden, has been kidnapped. Turing enlists your help to find Hayden, putting your journalistic skills to the test. Your investigation sees you cover a variety of locations, from a nightclub to a police station. It’s generally quite a linear path, as the next place is clearly marked on your map. The game gets particularly interesting when you’re faced with choices, which could be as simple as what to say or who to visit. This is why it pays not to rush through your responses – your choices impact the ending of the game. With six possible endings, they’re not all perfectly happy, giving incentive to resolve everything with as much integrity as possible. Some scenes allow you to interact with your environment, using one of four commands on everything from people to plants: use item, talk, look, or touch. These interactions are often essential to the story’s progression as you hunt for clues and other ways to continue the investigation. These provide a break from the narrative, bringing a puzzle element to the game that actually brings you even closer to the story. Occasionally, there are some more action-based tasks, such as cracking passwords or directing traffic, which add variety to the gameplay. The design is fantastic. The pixelated graphics give a retro vibe that aligns with the old-school feel of the point-and-click gameplay. Bright neon colors fit with the technological vibe of Neo-San Francisco. The audio suits this aesthetic, with some excellent retro tunes that sit nicely in the background. The other standout aspect is the voiceovers. Each piece of dialogue is spoken by talented voice actors, adding further depth to the characters and their varied personalities. Overall, 2064: Read Only Memories INTEGRAL provides an interesting and engaging story, with some genuinely emotional moments. It’s like an interactive novel – a choose-your-own adventure that gives you the options needed to save the world. The excellent voice work, retro style, and interesting characters provide an entertaining journey into this skewed version of our own world. If you’re looking for a good book to read/play, I highly recommend giving this one a go. 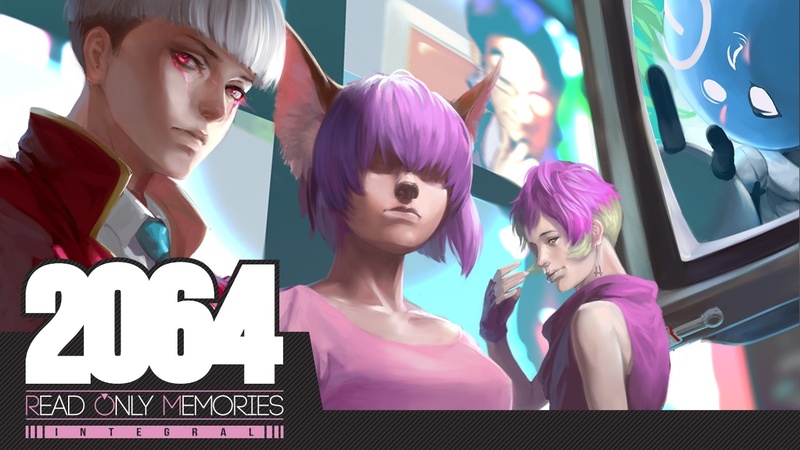 2064: Read Only Memories INTEGRAL is a deeply engaging story that will entertain you for hours, as long as you’re happy to spend some time reading. There’s a mystery to unravel, involving interesting characters and multiple endings, wrapped in a neo-lit future. Check it out.